Approximately 2.3 km after Muallaqat al-Dayr, on the right side of the main street, there are remarkable Roman-Byzantine architectural remains. 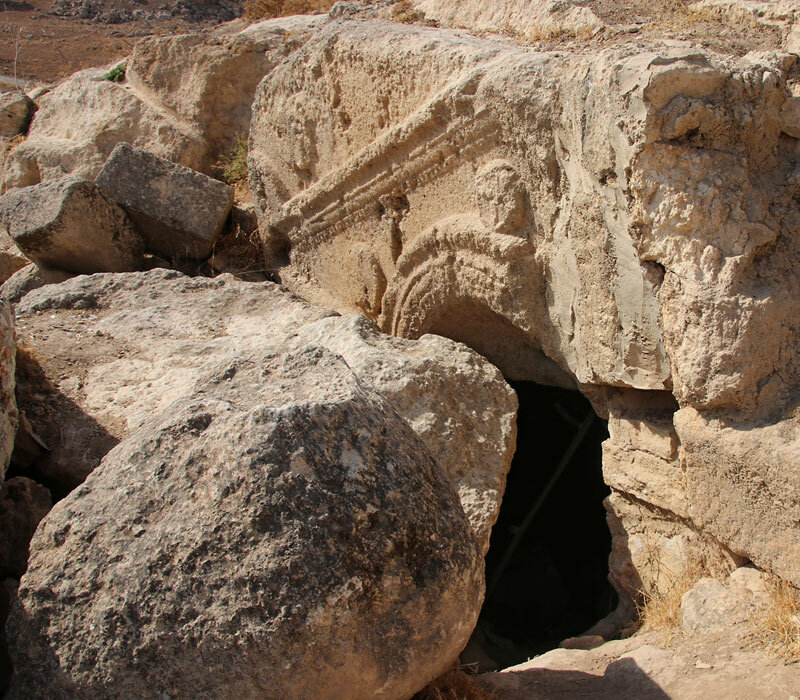 It is a large cave church - closed because of on-going excavations -, and a second church built outside right in front of it. 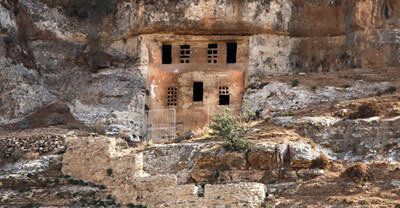 The entrance of the cave can be identifyed by a façade decorated with a pediment with crosses. 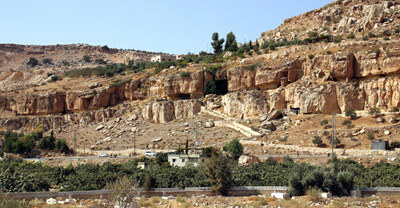 The site is called Mugharat al-Kaniseh (Cave of the Church) by the local community. The church outside (21 x 10 m) was built with well-cut limestone ashlars. Clearly identifiable is the apse with its two rows of seats. The floor was covered with mosaics of colored tesserae. An inscription in old Greek was found on the mosaic floor, translated as "Jesus the savior from the first and last". On a nearby hill, there is a cemetery (still in use) dated back to the Early Bronze age.